We have tried and tested the Intel Optane Memory's functions as a classic storage device. Even though some users might benefit from the new technology in specific cases, we cannot really recommend it. 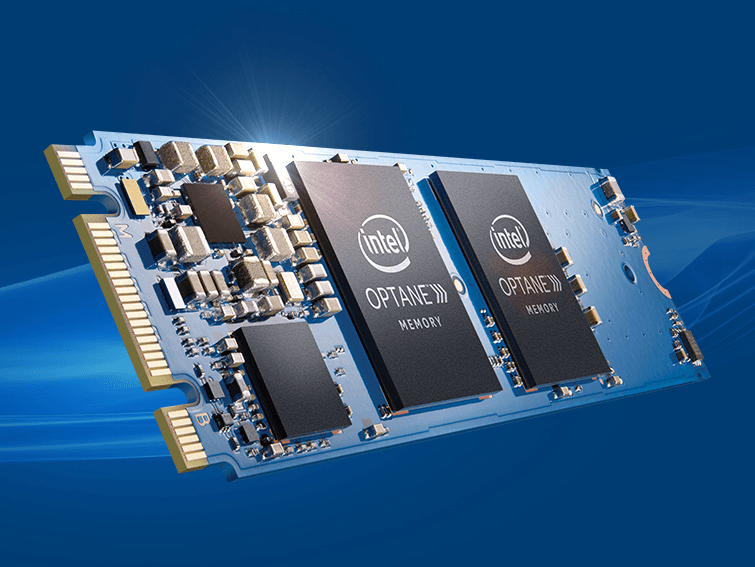 Optane Memory is Intel's first product based on 3D XPoint that is available for end consumers. The new storage technology was created in cooperation with Micron and, unlike NAND memory, is not based on different voltage levels, but on changes in electrical resistance. Forgoing the field-effect transistor enables a higher transistor count and faster data transfer rate - at least in theory. We have taken a look at the Optane Memory's performance as a classic storage device rather than as cache, with the aim of making a prognosis about its possible future use as an SSD competitor. Intel itself has been pushing its use as cache. You will find our usual graphs with detailed results of our tests at the end of this article. 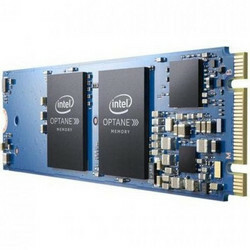 Intel's Optane Memory is an M.2-2280 storage module that is connected via two PCIe 3.0 lanes and NVMe. The chip is 22 mm (~0.86 in) wide and 80 mm (~3.15 in) long. Intel's system requirements are comparatively high, so it supports only seventh generation Intel processors. You can find a detailed list here. The chips have a capacity of either 16 or 32 gigabyte and are currently available for about $45 and $80 respectively. We have tested the Optane Memory in various categories with particular focus on synthetic benchmarks against M.2 SSDs, which are direct competitors of the Optane Memory for end consumers. We would like to mention the difference between the so-called sequential and random access: sequential reading and writing happens "in one go", for example when reading or writing a large movie file. Simply put, the file does not have to be searched for and therefore can manage very high data transfer rates. The opposite is the case for random operations, where various sectors of the storage device need to be accessed. In practice, these random operations with smaller files are a lot more common - which is why SSDs seem to speed up the entire system so much. In the worst case, a conventional hard drive has to move its read head over the entire magnetic storage, just to access a certain file. Looking at the sequential data transfer rates, Intel's Optane Memory did a comparatively bad job. Both the AS SSD and CrystalDiskMark 3.0 show a distinct deficiency in the write rates: the maximum write rate of about 300 MByte/s leaves it way behind the M.2 PCIe competition and even models with SATA connections can offer better performance. Sequential reading is a lot faster in the Optane Memory, but its speeds are still not really competitive. Random reading and writing show the exact opposite: Our 32-GB test unit had very high transfer rates, although these did also depend on which benchmark was used. In the AS SSD, the storage device was just ahead of its competition in writing 4K files, while reading rates were five times as fast. The CrystalDiskMark 3.0 confirmed these results. We noticed that the maximum sequential write rates for the Optane were almost equivalent to those of random operations, which would be very unusual in normal SSDs. This turns around again with an increasing queue - at least for the write rates. We believe that Intel's Optane Memory is still not particularly suitable for the general consumer market. While the very high random rates can be an advantage with Windows, the difference in speed to normal SATA or even PCIe SSDs is irrelevant for end consumers. Professional users (who might actually prefer the Intel Optane P4800X) will most probably still go for a usual NVMe SSD due to the Optane Memory's high price - although this might not be true for very specific needs. The use of the chip as cache memory combined with a classic hard disk is basically a good idea, but probably only suitable for lazy users who only use a hard drive despite the modern Kaby Lake system and do not want to transfer all their data onto a - probably similarly priced - SSD. The number of these users is, however, very, very low. We are also uncertain about the use of Optane Memory in notebooks or compact systems, since equivalent PCIe SSDs are available for only a little more money.